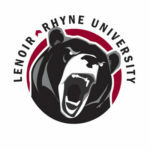 CLEARWATER, Fla. – Lenoir-Rhyne University won by a shutout and fell by the same on Saturday in the National Fast-pitch Coaches Association (NFCA) softball tournament. On the second day of the tournament, the Bears downed Eckerd 9-0 before Valdosta (Ga.) State beat LRU 6-0. Hillside and North Georgia beat LRU on Friday (details below). LRU (3-3), ranked No. 19 in NCAA Division II, finishes the event on Sunday with an 11 a.m. game against Florida Tech. The Bears will play four games this weekend in Hickory, facing Virginia State and Wise (Va.) on Saturday and battling Fairmont State and Lees-McRae on Sunday. The Bears finished with 12 hits and broke a scoreless by scoring all of their runs in the fifth inning. Erin Boone doubled in the first LRU run and scored on a double by Savannah Moorefield. Kylee Leonhardt and Hannah Jennings each drove in two runs for the Bears while Cassie Healy scored two runs. Brandi Parks picked up her second win of the season, tossing a complete game for LRU. She allowed five hits and struck out nine. Valdosta State (7-0) scored three runs in the fifth inning and then added three more runs to shut out the Bears. Emily Kenley pitched for the Bears, striking out five and walking one, and she allowed two earned runs over 5 1/3 innings. Boone had three hits for LRU, all for extra bases (two doubles, one triple) but was left stranded all bases all three times. LRU’s only run scored in the third inning, when Boone’s double scored Moorefield. Kimberly Blair took the loss, allowing two runs over 1 1/3 innings. Jennings and Parks combined for six strikeouts and held Hillside scoreless in their 4 2/3 innings. Dana Wiedinger threw a complete game for Hillside, striking out seven and walking two and allowing four hits. North Georgia, ranked No. 3 in NCAA Division II, went up 3-0 through two innings and held the Bears to two hits. Kenley took the loss for the Bears. Talon LaClair and Healy had LRU’s hits. Kylee Smith struck out 15 and walked one for North Georgia. She led all NCAA Division II pitchers last season in wins, strikeouts and ERA and was the NFCA Division II Player of the Year.